Metal first aid kits are ideal in factory and office settings, hooks on the back of the boxes make them easy to mount on a wall creating a first aid station that is highly visible and out of the way. : At e-first aid Supplies we stock all of our kits with high quality supplies that last and we have worked hard to ensure that our metal first aid kits are a great value for our customers. Service: All of our employees have been trained to answer any questions you may have about the products we sell. 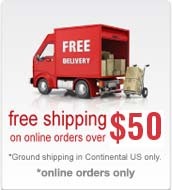 We have also worked hard to offer free shipping on orders over $50 and a smaller shipping fee on orders that are less then $10. Selection: e-first aid Supplies has first aid kits available in metal, plastic and soft sided styles. We have over 100 first aid kits to choose from all with a different selection of supplies in them. These metal first aid cabinets come in five different sizes from a small 10 person first aid kit to a 100 person first aid kit if none of these kits work for you you can also consider our OSHA compliant first aid kits.